Summer kicks off with Warped Tour and a show at CIA! Summer is here, and we’re kicking it off with some killer shows!!! This will be the debut show for the Dinosaur themed band, BONEHENGE, featuring members of Kirby’s Dream Band, and Radio Active Chicken Heads! We’re also getting to play with Gygax, which hasn’t happened in way too long!!! Please join us at this incredible venue, this is going to be an insane show! 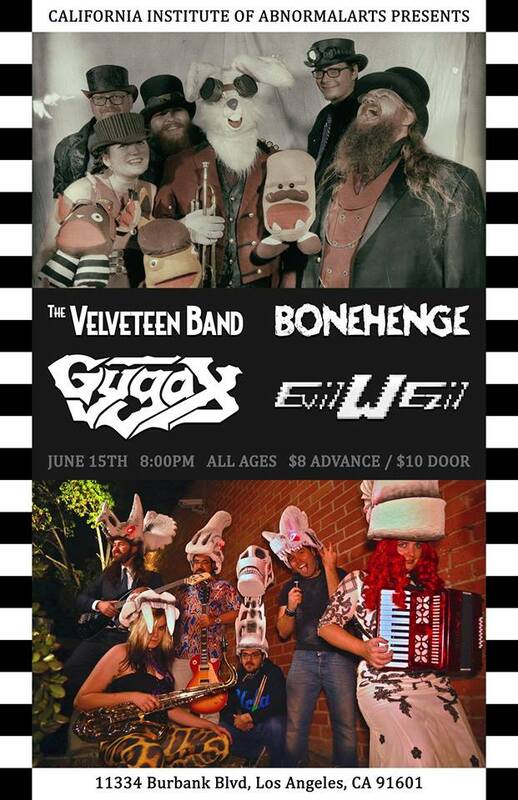 And then….VELVETEEN BAND IS PLAYING WARPED TOUR JUNE 24TH!!!! We are incredibly thankful and humbled to be performing Warped Tour, and we would like to thank Tim and everyone at the Red Light District Show and No Cover Magazine for making this happen! 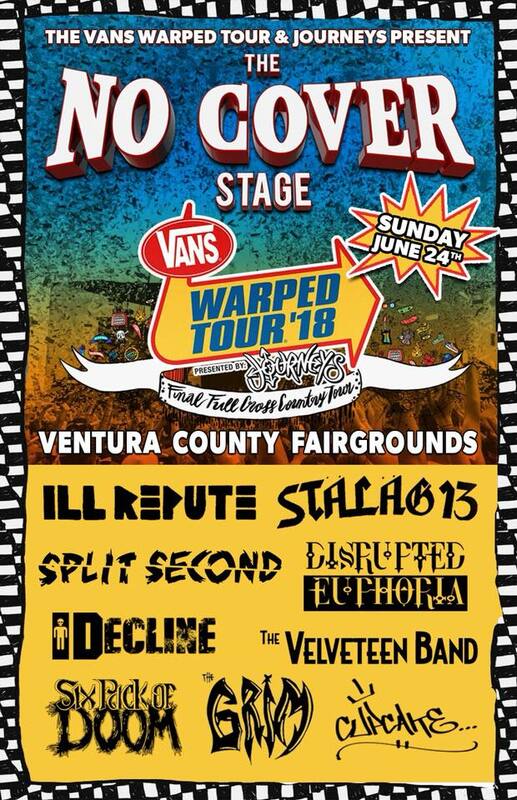 We’ll be playing at the Ventura Fairgrounds on June 24th only! Set times haven’t been posted yet, but we will keep you posted! We have some more summmer dates to share with you, but that’s all for now, we hope you can make it, we would love to see you! Previous PostLive at Discovery Ventura!! !Next PostVans Warped Tour, here we come!! !